ONLY from 7:30AM-8:30AM – don’t be late! All runners must check in prior to the start at Long Ranch Park race morning to receive their bib#. Read more about THE COURSE, additional RACE DAY INFORMATION and AID STATIONS. TAHOE TRIPLE TRAIL CHALLENGEThe Carson Canyons Half Marathon is the first of 3 races in a Half Marathon Trail Series. 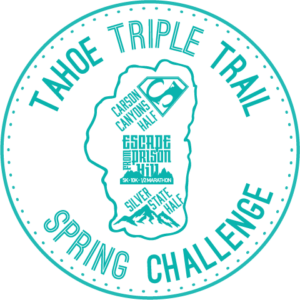 The other runs in the series include Escape From Prison Hill (EFPH) on April 20 in Carson City and the Silver State Half Marathon on May 18 in Reno. Runners who complete all 3 races will receive a special finishers award.